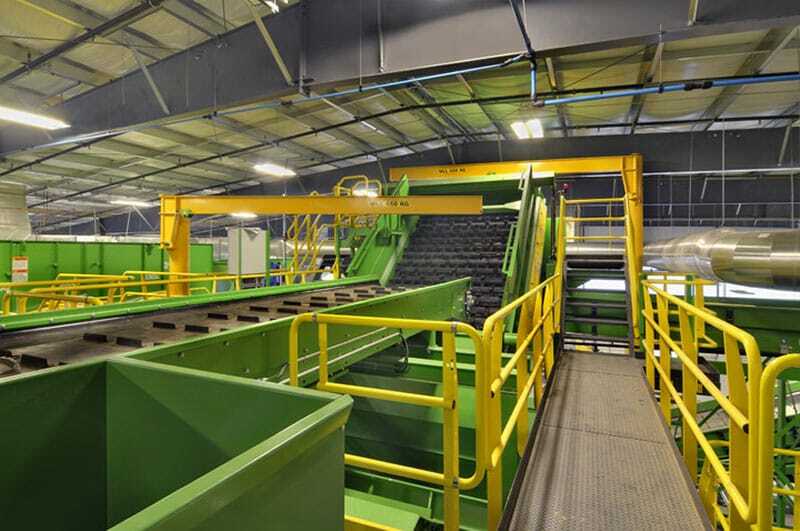 The design and construction of the building allows for the incorporation of the most sophisticated and technologically advanced sorting equipment on the market today. 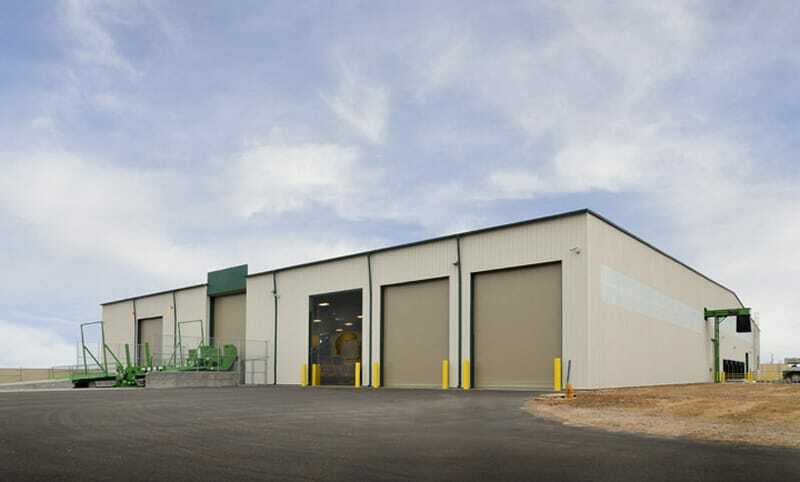 Gilbane provided design build services for the 71,240 square feet Material Recovery Facility (MRF). 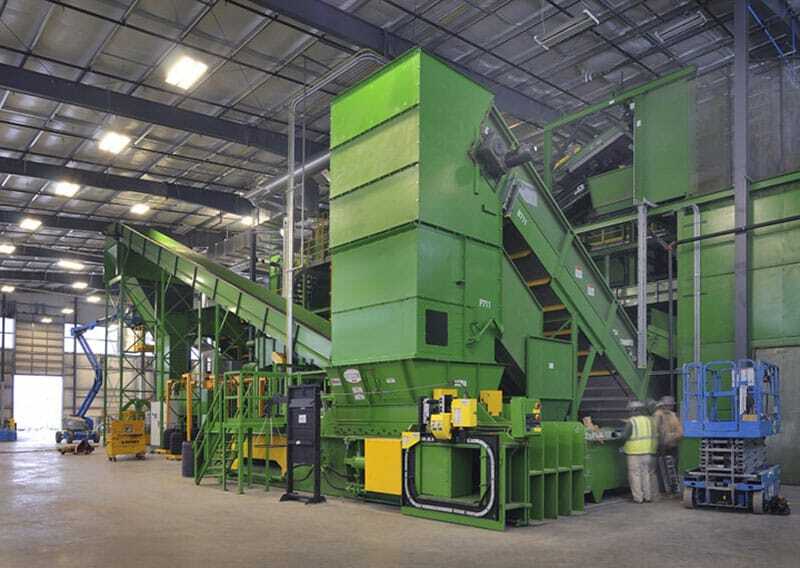 Constructed on property owned and operated by WM Recycle America adjacent to the existing landfill in Surprise, Arizona, this MRF allows for a full truck tractor tipper directly into the enclosed tipping area. The design and construction of the building allows for the incorporation of the most sophisticated and technologically advanced sorting equipment on the market today. The administrative facility contains office and conference space as well as locker rooms, a break area for workers, and a large education center. 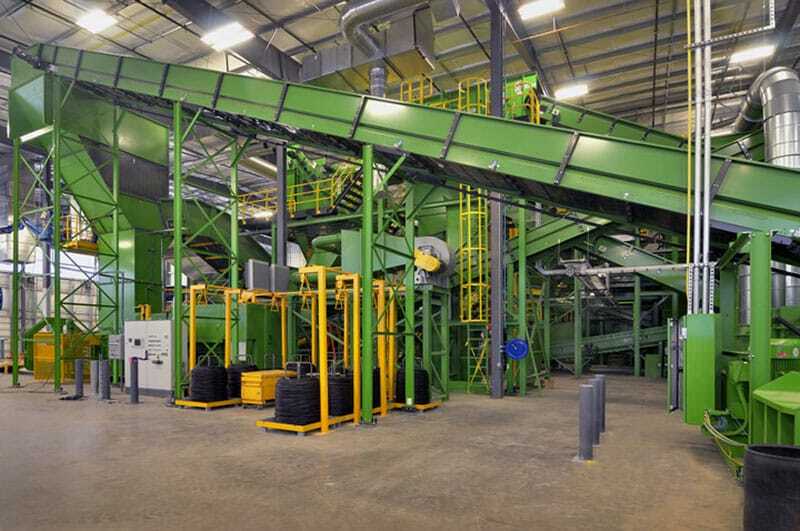 This educational center has video feeds from key areas of the material sorting area, tipping areas, and bailing area to allow a full understanding of the function of an MRF. There are also displays and computer kiosks for a full interactive experience. There are specific provisions within the education center to facilitate understanding by school-age children and the parking and driveways are specifically designed to accommodate school buses. The project’s budget was managed and maintained through numerous constructability reviews and value engineering sessions with the owner, architect and Gilbane. The eight-month fast-track project was integrated with the equipment design and delivery to allow simultaneous completion of the MRF building and equipment installation. This project achieved LEED-NC Silver Certification.